SM Contact developed Sm IDC (Insulation Displacement Connection) – automatic and semiautomatic equipment for creating insulation displacement contact. Sm IDC machineimplies inserting solid or stranded wires into the IDC connection slots unstripped, which is time- and cost-effective alternative to terminal crimping and soldering. Modular concept of the equipment allows to design customized configurations on demand. Standard equipment implies creation of a connection with one connector on one harness side. Connectors on the opposite sides must belong to the same RAST series (2.5 or 5.0). Connectors feeding is performed with a help of dispensers. One dispenser contains connectors with a same number of contacts. Optionally it is possible to install up to 4 dispensers with the same connector profile. Automatic transport carriage moves forward and backward along the rail to collect connectors of necessary quantity and size in appropriate order. It is equipped with a movable stop block with filling sensor to control connectors presence. Operator inserts wires one by one into the same insert slot manually. Depending on the connectors type Sm IDC is designed either for top or for side feed f wires. In case of top wire to terminal feed (series Sm IDC TF) wire is pressed down between the contacts. While side wire to terminal feed (series Sm IDC SF) wire is inserted into the hole and then contact is pressed down onto the wire. 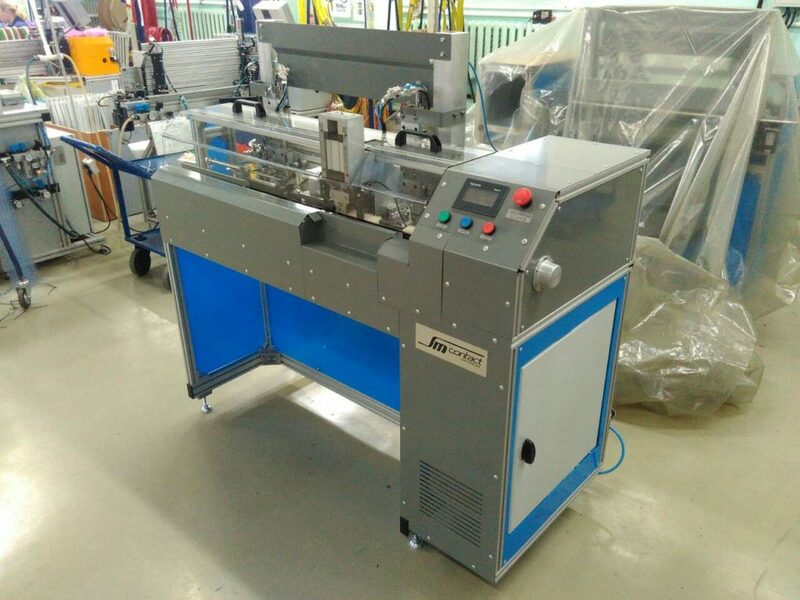 Machine guarantees high quality of the connections since contact force is user-independent being defined by spring-loaded IDC terminal. Processing carriage automatically moves along the rail forward and backward according to the appropriate order of wire insertion. Skipping of the slots without the contacts is also performed automatically. Fast resetting to another connector type. Press inserts wire into the connector to the predetermined insertion depth only if the sensor detects it in a slot. Advanced equipment implies creation of a connection with one or several connectors on one harness side. Connectors on the opposite sides could belong to different RAST series (2.5 or 5.0) in case of fully automatic Sm IDC. Optionally possible to install feeding system according to the supply form of connectors: unreeler for reeled ones or vibratory feeder for in-bulk. 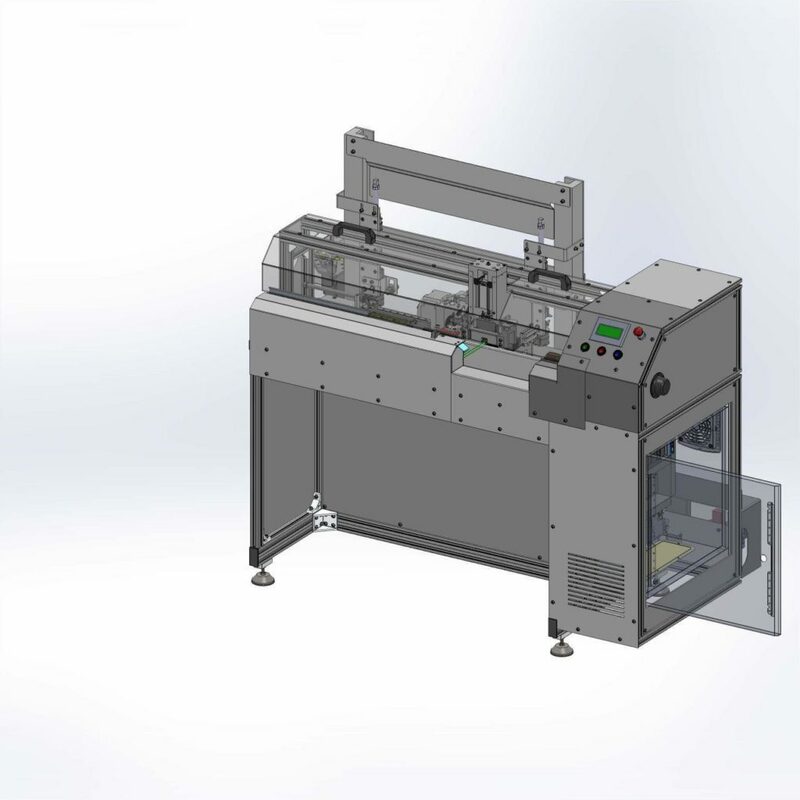 Machine could perform automatic wires feeding and cutting with a predetermined cut length. In this case there is no necessity in several wire harnesses of different colors to keep its correct order in the connectors. Wire position control for top wire feed or terminal position control for side wire feed. Controls insulation cutting and electrical contact between wire and connector. Option for top wire feed.